The Sid Foundation now offers free laughter yoga! Laughter Yoga is a great aerobic exercise that utilizes the diaphragm and requires deep breathing. It is a great exercise to maintain or increase lung capacity, increase oxygen flow, lower blood pressure, relieve stress and just have a great time! It was started in Mumbai, India by Dr. Madan Kataria and his wife who was a yoga teacher with five people laughing together in a park. It is now a worldwide movement with thousands of laughter yoga clubs in over 70 countries! To find out more information go to www.laughteryoga.org. We have two certified laughter yoga leaders who offer laughter yoga for all age groups. Contact us through this website, our facebook page, or email us at info@thesidfoundation.org to schedule a free laughter yoga session in the Atlanta Area. We also offer laughter yoga sessions online over skype or face-time! We hold FREE laughter yoga sessions at local libraries in the Metro Atlanta area. 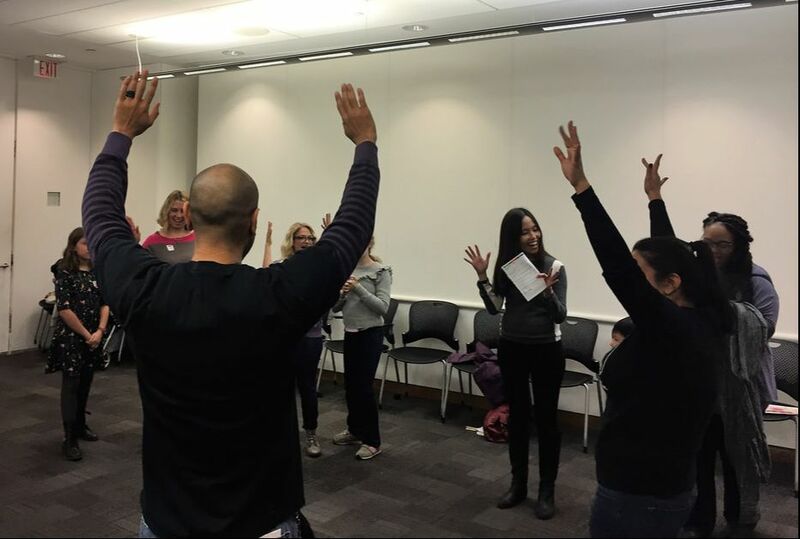 Laughter Yoga at The High Museum of Atlanta, Museum of Design Atlanta (MODA), New Delhi, India, and Fulton County Libraries.